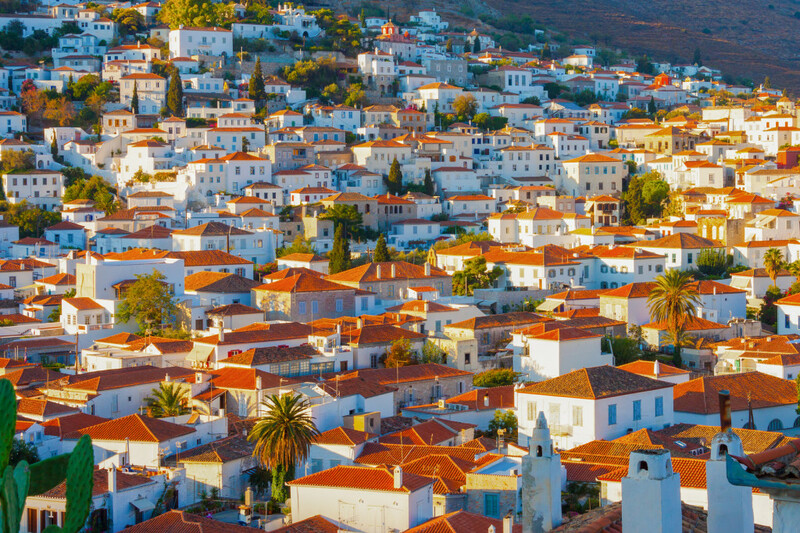 History, architecture and tradition create a unique fusion in Hydra, one of the most cosmopolitan Greek islands. 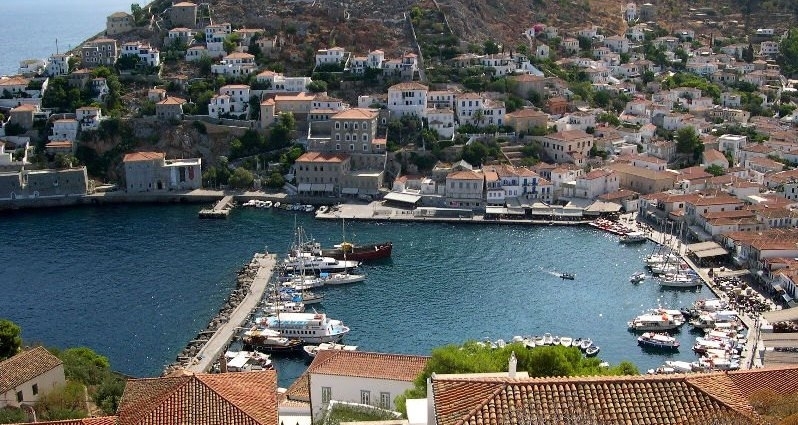 Argosaronic Hydra shares a common past with Spetses, with significant naval commerce activity that helped in contributing to the 1821 Greek Revolution. The well preserved harbor fortifications, canyons, statues and imposing neoclassical mansions of three or four stores scattered around the port, witness the wealth and majesty of old times. The island’s 18th century architecture is one of its trademarks. 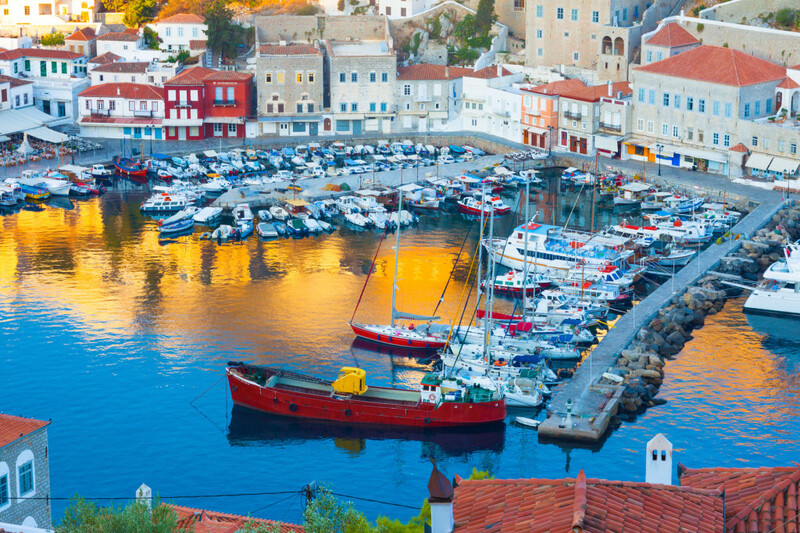 Grey stone manors blend with red tiled houses in white and blue, while the amphitheatrically built town features a lively waterfront – a cafes and restaurants day & night promenade. 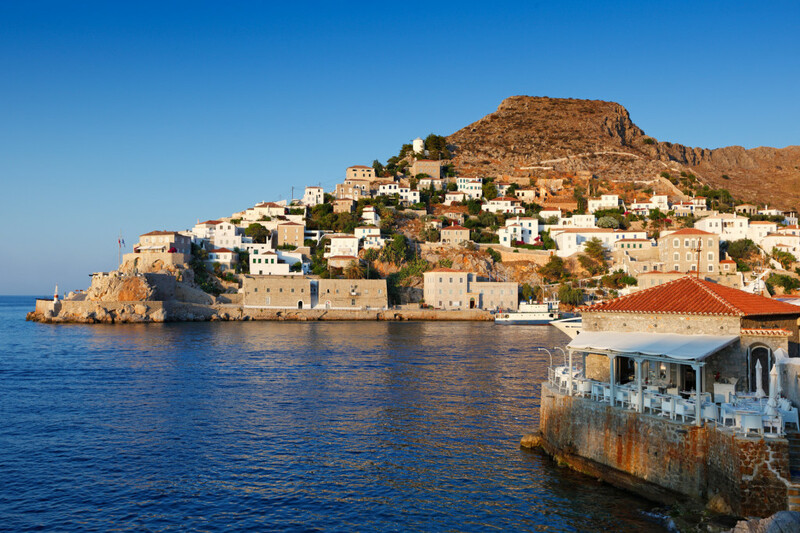 Hydra differs from the majority of Greek islands in other terms, too. The road network is very limited, while the beaches are few and rocky, due to the mountainous landscape. 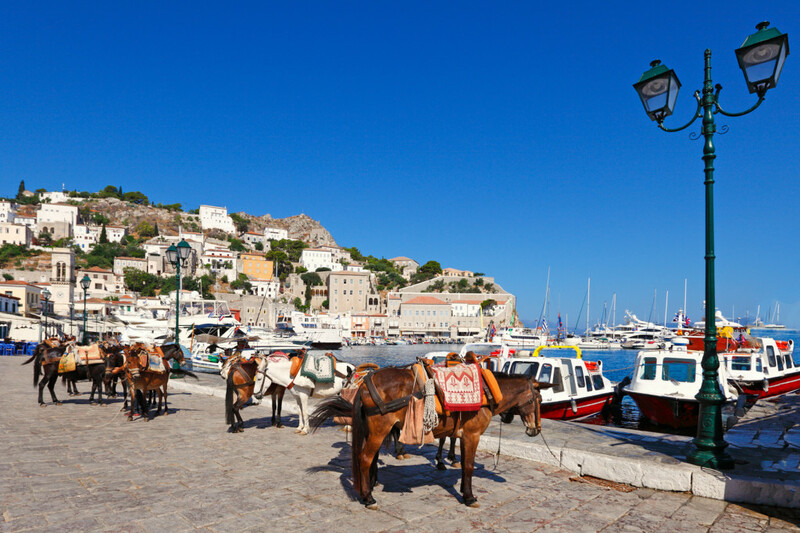 Moreover, all types of motor vehicles are prohibited in the island, so the best ways to get around is on foot, by donkeys and water taxis. 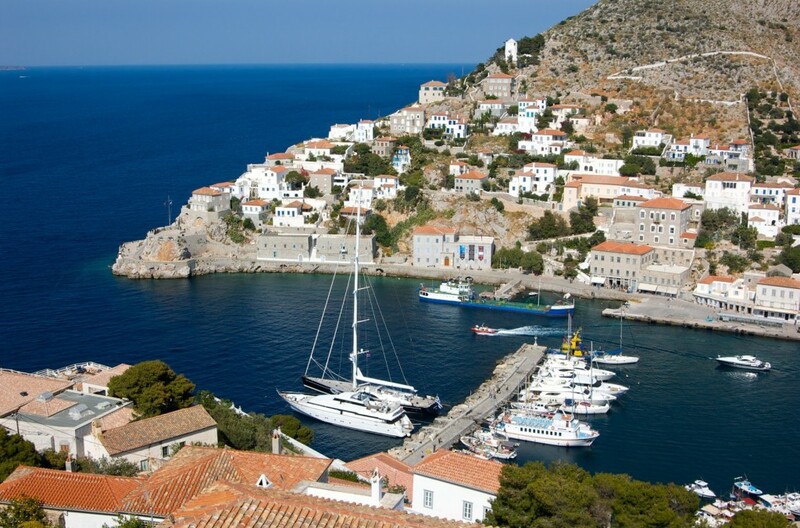 Despite the above, and the fact that it is a pricey destination, Hydra is extremely popular among Greek islands. 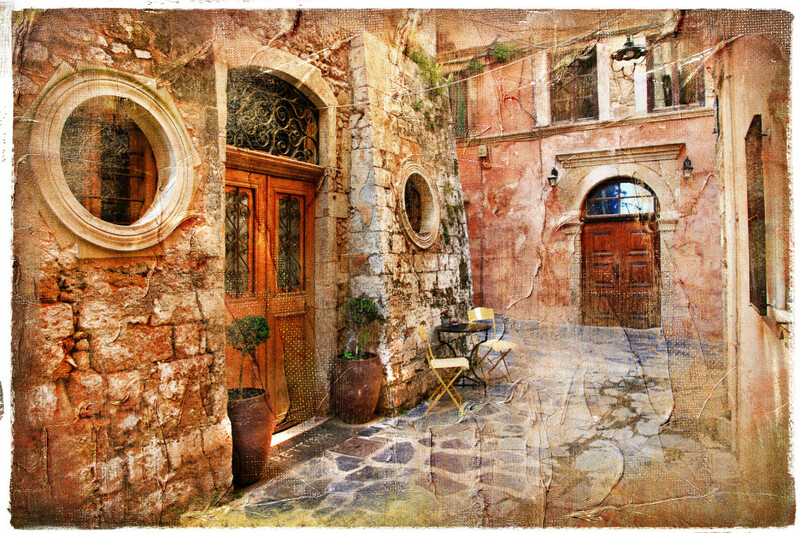 Its serene, sophisticated atmosphere attracts visitors from all over the world, as well as Greek weekenders and day-trippers, as it is close to Athens. 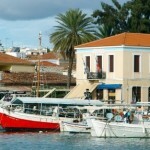 The island offers excellent touristic infrastructure and preserves a strong sense of tradition. It also has the reputation of being the artists’ favorite: In the ‘50s and ‘60s it became popular among poets, painters, musicians and celebrities from Greece and abroad, such as Leonard Cohen, John Lennon, Peter Ustinov, Melina Merkouri etc., while the film “Boy on a Dolphin” starring Sophia Loren was shot here. 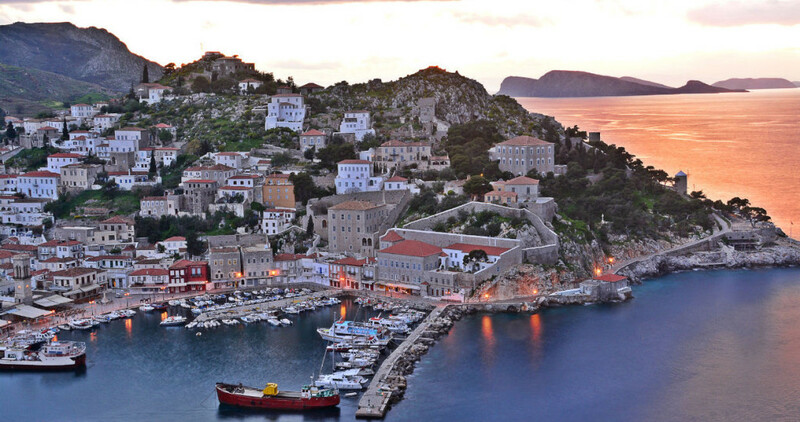 Hydra itself is an island “socialite” who yet refuses to give up on its origins. 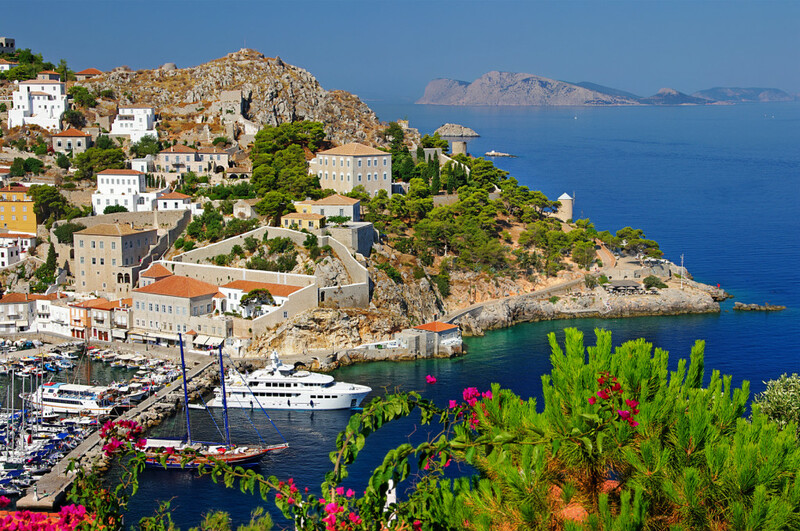 It remains a wild beauty, chic and unspoiled, reflecting Greece at its best. No text reviews of Hydra exist. You can be the first one to review Hydra.